This great video clearly outlines the Genius Hour movement happening in classrooms across the world! 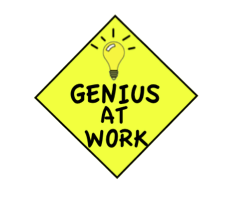 After reflecting for a few months on how to initiate #GeniusHour in my classroom I finally jumped in with both feet, my Genius Journal (click to download) and the question, “What do YOU want to learn Today”? The response, learning, level of engagement and finished products were incredible! I found my Genius Journal to be incredibly helpful in guiding my students, allowing them to follow a process (QUESTION-PLAN-RESEARCH-CREATE-SHARE-REFLECT) and record their learning. Of course, the process is fluid during their 20% in the classroom. The most critical component of Genius Hour is insuring that your students formulate good, thought provoking questions. I spent about one week with my students discussing what a good question is and challenging them to think and rethink their questions. Some questions were: “Why do Bucks Lose Their Antlers?”, “Could We Survive Without Bees?” and “How Can I Make a Cartoon?”. Once the questions were well developed, the rest of the process fell easily into place as students explored what they were truly passionate about learning! Students shared their learning through iMovies, Keynote presentations, SMART Notebook presentations, speeches and demonstrations. Check out Creating Video for tips and ideas. Two of my students’ incredible Genius Hour iMovies: ‘Dairy Farming Today, The Modern Way’ and ‘A Crazy Cartoon Adventure’. Please feel free to use them as exemplars in your classroom! Want to try a Genius Hour project with a twist? Give our M.A.D (Make A Difference) Project a try! Can Genius Hour be done with younger kids? You bet! Check out the Genius Hour Project my son and I did when he was 5! Questions? Ask in the “Reply” box below. What grade level produced these projects? I’m wondering how to integrate this into a Texas TEKS based math curriculum with 7th grade at-risk students in a Title 1 school. I teach grade 6, all subject areas! I am not familiar with TEKS, but I do know that some of my “at risks” students were most engaged by Genius Hour and the project journal will be a great way to guide them. Can you have them formulate a “real world” math question, go through the process out lined in the journal, then present their findings? Haven’t done Genius Hour in my classroom, but I think you’re onto something great! Please let me know what you decide to do! Please share my site with all! Would you mind sharing your Genius Project Journal? I’m not sure how to set that up, and I am planning to start this, but I’m a little fuzzy on how to keep them focused. Thanks! Just figured out that you already did! It’s Friday! I think I need a weekend! Peter, I really am interested in your Genius Hour projects. I was wondering if you could share any tips or printables or charts that you used to help students get to a question that they were really invested in? The question, really, is the most important step. I take almost a week having the kids research to build schema. They jot down a number of questions they may like to work with, then narrow down and finally “pitch” their question to the class. We all give feedback until a “good” question is achieved. 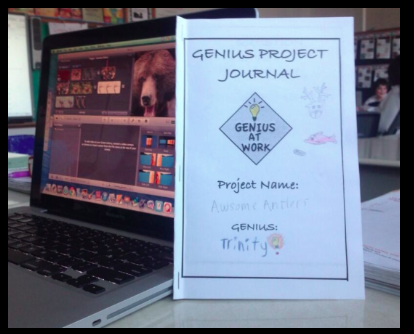 For me, the Genius hour journal was the key for completing the whole project. I want to apply this for my Grade 10 Students. Can I use your Genius Hour Journal? Absolutely! That’s the intent! Please let us know how your students do! My class would love to hear from them! Where are you located? Good to hear this from you! I am Charles Joseph G. De Guzman, from the Philippines. I am teaching Grade 10 Social Science. Our study is focus on the government and the community around us. I want to apply the Genius Hour for our 4th Quarter lesson which is Public Planning. I am envisioning my class to work on different projects for their chosen communities. I hope that I can solicit your advise on this. Hello Charles! I think this is a GREAT idea! The Genius Journal will provide a framework for the project. My students are currently working on a Genius project in Science: Forces on Structures (grade 5), Space (grade 6). They are currently brainstorming questions that address both our curriculum expectations and their interests. I’ll be blogging about their learning journey, feel free to follow along. 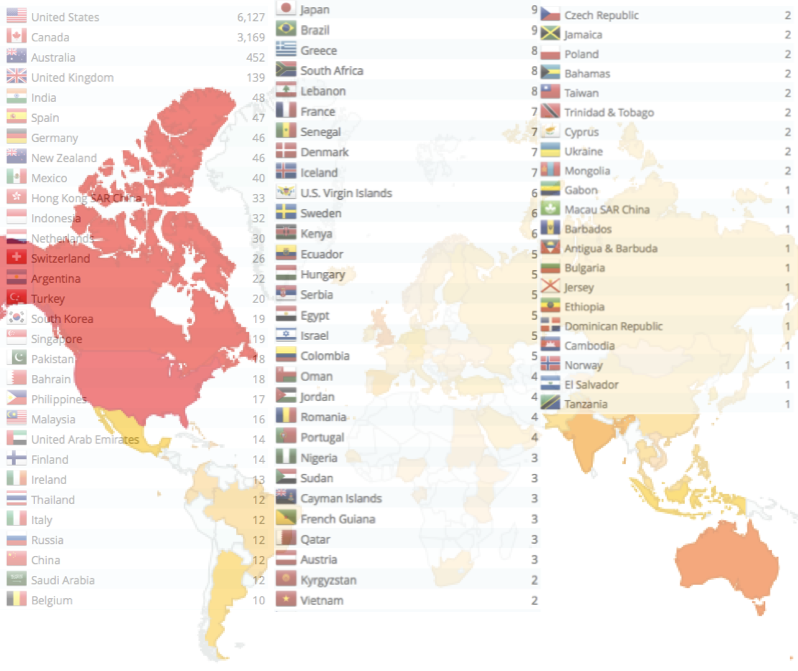 Are you familiar with Google Hangouts? Would you consider “visiting” our class? Great to connect!